Gamification. It could be considered the buzzword to end all buzzwords. But if you want to make your training programs more engaging or need a fun way to reward successful use of your LMS, then perhaps gamification could be much more than just another buzzword. This post explains how, when used properly, gamification can motivate and engage your learners. Gamification takes the mechanics of games and places them into other activities. This improves user experience and motivates them to behave in a certain way. It boosts motivation by making completing the required behavior or action more fun. This, in turn, promotes the end user to engage more with the process and repeat the desired behavior or action in the future. Ultimately, Gamification’s purpose is to influence behavior and reward participation. When using products and services, you’re often met with gamification elements. These are usually visual signals indicating where you are in a process or completing an activity. They show the impact of the activity and present a reward like a carrot dangling on a stick. Think about the fitness tracker on your wrist or the coffee stamp card in your wallet. Both are highlighting your progress with milestones and rewards. It’s also not about creating something from scratch. It’s about augmenting an existing process by applying these engaging mechanics on top. As mentioned, gamification is used in your daily life, and you may not even be aware of it. Loyalty cards place you on a particular level based on the points or stamps that you collect over time. The completion of your profile on a website, like LinkedIn, will show you a progress bar to encourage you to supply more details. 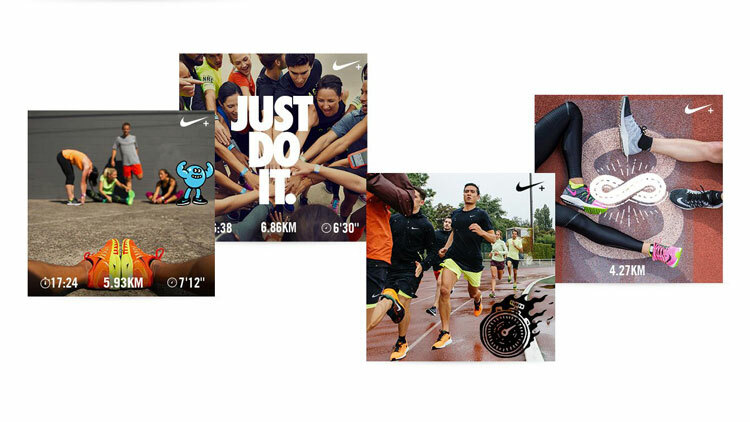 Fitness apps like Nike Run give you a clear picture of your improvement and encourage further use. These mechanics play into our competitive nature and our hard-wired desire to collect. We are after all ‘hunter-gatherers’. The real question is, what is the actual value of gamification mechanics? One of the most interesting examples of gamification is Foldit. Foldit is a puzzle game that actually helps AIDS research. It does so by making contributing data ‘fun’. Over 240,000 people began ‘playing’ with this game and a solution to a 15-year-old question was found in 10 days. There are two broad types of motivation - intrinsic and extrinsic. And they’re both important drivers of behavior. Intrinsic motivation is the motivation to complete a task for the primary benefit that will result. Extrinsic motivation is a secondary motivation. It’s the completing of a task for an external reward or recognition of doing so. How do these relate to eLearning? The intrinsic motivation in eLearning is to complete the course for the information contained in the course, not for any other consequence or benefit. Gamification is an extrinsic motivation that encourages learners to complete the primary task of completing training but not just for the primary reason. Learners are also completing the course to gain the associated badges, points, and rewards for progression! Gamification complements eLearning because motivating learners to learn can often be challenging. Gamification is an achievable and fun process for learners. A learner is tasked with completing their courses or learning paths as part of an overall training program. The gamified elements help to make this process work more smoothly for the organization and make it more engaging for the learner. When eLearning gamification is done correctly it gives the learner a sense of momentum through achievement. These gamified elements combine to create a system. One that rewards and motivates the learner to engage with training more often. Gamification can increase learner adoption, engagement, and completion of training. It makes the learning experience fun for your learners by adding a subtle layer of motivation. Experiment with gamification to make the learning process more interesting for your learners. There’s no one way to set up your gamification strategy. It’s different for every organization. Here are some simple suggestions that you can test to see if they improve learner engagement. Look at all of the training that you plan to deliver over the next 12 months. Now use this to plan your gamification strategy. Identify the total number of courses a single learner will take. This total is the parameter that the level, point and badge game mechanics will work around. Here are ways you can implement each gamification component. Plan your levels first. The goal here is to plan a set number of levels that the learner is to strive towards. Take into account all of the possible training that a learner can take. When a learner has completed everything they should reach the final level. So if they have to complete 5 courses in the 12 month period then there should be 5 levels for them to progress through. If they reach the final level before they’ve completed all of their mandatory courses then the effect is lost. Take onboarding for example - when a learner has completed their onboarding they should level up. This reinforces their completion of an important chunk of training. Levels are based on points so it makes sense to think of how many points it takes to reach each level. You can then plan points from the perspective of how many courses or activities will be placed on each level. So going back to our onboarding example, choose a points total for all the courses in your onboarding process that equals the required points needed to progress to the next level up. Attach badges to each course in your training program. Every time a learner passes a course a badge is unlocked and attached to their profile. This has the effect of motivating them in the moment as it reinforces the actions they’ve just completed. It’s like Pavlov's bell, except you’re conditioning your learners to complete their training! If you’re struggling to get your learners to interact with your LMS why not have a daily login badge? Or if you want to promote an important course, attach a higher number of points to it so the reward is perceived to be greater. It'll appeal to those with an eye on leaderboards. Gamification is a great way to augment your eLearning strategy that enables you to tap into the human behaviors of collection and competition to get your learners motivated. Couple that with great course content and a user-friendly LMS and you’ll be set up for eLearning success!